Pageantry has been a common feature of every Republic Day function that India has organised since 1950. However, it has not been without a fairly large share of weighty political and diplomatic symbolism. 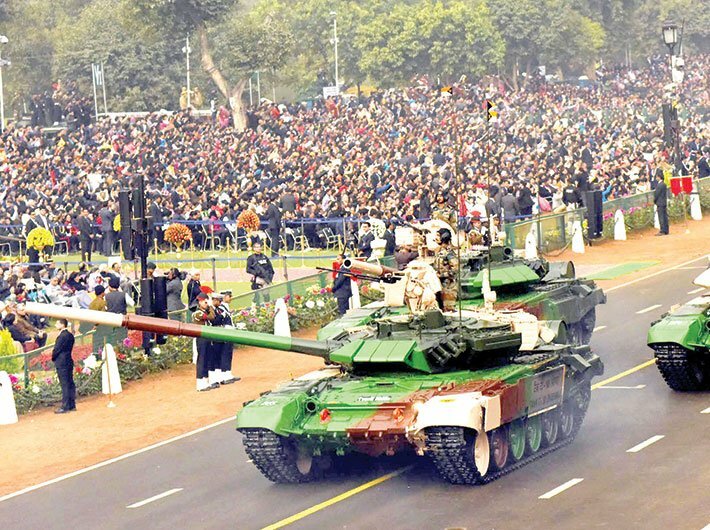 From the time when New Delhi invited charismatic Indonesian president Sukarno to be the chief guest at the first Republic Day function, to the most recent, when it made Abu Dhabi Crown Prince Sheikh Mohammed bin Zayed Al Nahyan the chief guest at its 68th Republic Day function, each one brought its own heft to India’s national interest. But the 2018 Republic Day would see a major departure from the past as all 10 heads of government/state from Association of South-East Asian Nations (ASEAN) members, instead of just one, are expected to grace the occasion as chief guests – a rare diplomatic initiative that New Delhi undertakes to commemorate 25 years of its engagement with the grouping that comprises Indonesia, Thailand, The Philippines, Malaysia, Singapore, Myanmar, Laos, Vietnam, Cambodia and Brunei. “Meetings for HoS/HoG [heads of state/heads of government] are [being] worked out through diplomatic channels” to facilitate their arrival as chief guests at the 68th Republic Day, ministry of external affairs spokesperson Gopal Baglay told Governance Now. Another senior MEA official, requesting anonymity, said invitation letters are being prepared and each head of government/state of ASEAN would be handed over the invitation card along with a personal letter from prime minister Narendra Modi. A day after the Republic Day parade, the Southeast Asian leaders would participate in the ASEAN-India summit where they will be wearing Indian kurta-pajamas and sleeveless jacket. The high-level source, however, refused to comment on whether China, Australia, New Zealand, Japan and South Korea – dialogue partners of ASEAN – would be invited for the summit that would be another big diplomatic event on the country’s soil after India-Pacific Islanders’ meet held on August 21, 2015 and the October 26-30, 2015 India-Africa summit. 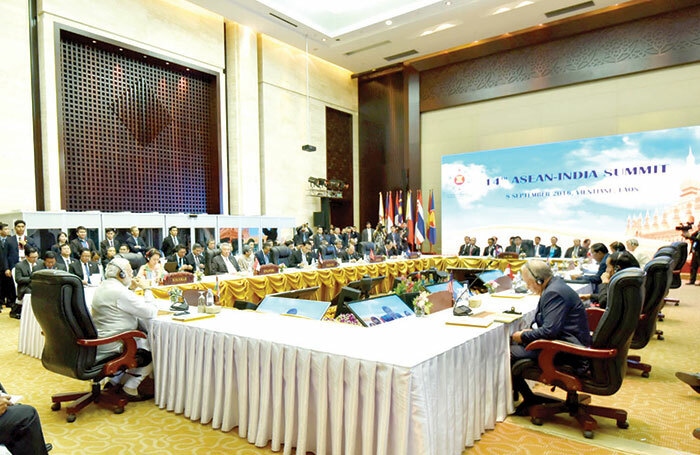 Against the backdrop of the ongoing border tension between India and China, some experts view the move to host the ASEAN-India summit as New Delhi’s attempt to consolidate its position among Southeast Asian countries which share strained ties with China on the South China Sea issue. In fact, some ASEAN countries are so worried about China’s unpredictability that they have started seeing the Indian Ocean as a zone of future war, instead of a zone of peace. “Following the uncertain behaviour of China, the Indian Ocean has become unpredictable and it might become the next battleground,” Anak Agung Banyu Perwita, who teaches at Indonesia’s President University, said in her address on July 5 at the Delhi Dialogue, an annual event which has been jointly organised by the ministry of external affairs and Observer Research Foundation, a think tank, since 2008. China has been gradually showing assertiveness in the Indian Ocean which, as per Washington-based think tank Brookings Institution, is the conduit for the world’s 64 percent of oil trade. Yet safety and security of the Indian Ocean is not the lone issue to make some ASEAN members see India as a force with capability to deter any misadventure in the world’s third largest water body. Rather, they see India as one country which has no expansionist agenda and unlike China has no territorial disputes with any of the ASEAN members. Keeping China in mind, India is quite keen to further cement its ties with the ASEAN nations. Modi has said that “ASEAN is central to India’s ‘Act East’ policy”. “Our engagement is driven by common priorities of bringing peace, stability and prosperity to the region,” he said at 14th India-ASEAN summit in Vientiane, Laos on September 8, 2016. In this condition, according to him, the time is appropriate when India and ASEAN should work hand-in-hand and shoulder-to-shoulder to strengthen the engagement between them. India-ASEAN relationship has attained a good shape on the diplomatic front and their annual trade has registered an 8 percent increase in 2016-17 as compared to the previous year, but their partnership has not moved as fast as it was expected. In 1992, India began its engagement with ASEAN as its Sectoral Partner. In 1996, it became ASEAN’s Dialogue Partner and Summit-level Partner in 2002. Despite this, it took another 10 years for them to become strategic partners. Similarly, the two sides implemented the Free Trade Area (FTA) agreement in goods only in January 2010 despite signing the initial framework agreement on it on October 8, 2003. The FTA on services was signed in September 2014, indicating slow pace of engagement between the two sides. Red-tapeism and lack of political will on both sides are seen as among the reasons for the delay in the implementation of FTA. Another element is the non-implementation of the Regional Comprehensive Economic Partnership (RCEP) that envisages enhanced trade and investment related activities between India and ASEAN and its associate partners. This is what appears to have dampened the move to strengthen the relations between the two sides. Launched in August 2012, the RCEP has seen several negotiations among all 16 countries which are part of ASEAN and its associated partnership. MEA officials are confident that they will be able to conclude talks over the RCEP by the end of this year, but experts have kept their fingers crossed. Even a diehard optimist like Rajiv Bhatia doubts if “the already delayed RCEP would be implemented even next year”. The original target of concluding negotiations on the RCEP was by the end of 2015. But on account of member nations’ reservation on investments, tariff and other issues, it doesn’t seem that the accord would be successfully concluded so soon. “It is not a one-night deal; no country would like to sacrifice its national interest. Patience is required to make it a win-win deal for every participant,” said Prabir De, a professor at ASEAN-India Centre which is part of MEA sponsored think tank Research and Information System for Developing Countries. On the face of it, ASEAN may look like a composite whole, but there are deep fissures. Cambodia and Laos are not on the same page with Vietnam, The Philippines, Singapore, Indonesia and Brunei on the South China Sea. In order to stop escalating tension in the Southeast region, Malaysia does not want the South China Sea issue to be pushed aggressively. Then Thailand and Cambodia are at loggerheads with each other over Preah Vihear temple. Situated on Thai-Cambodia border, the 11th century AD built temple is dedicated to Lord Shiva and is claimed by both Thailand and Cambodia. In November 2013, the International Court of Justice awarded sovereignty over Preah Vihear to Cambodia which was till then under Thailand’s control. Instead of respecting the court order and vacating the premises of the Hindu temple being occupied by Thai military personnel, a new fence has been erected by them around the structure. On the issue of human rights too, all ASEAN members are not on the same wave-length. Illegal migration of a huge number of Rohingya Muslims from Myanmar to Malaysia is a serious problem. Kuala Lumpur has cited human rights abuse of the Rohingyas by Myanmar as the reason behind their fleeing to Malaysia. But in the name of non-interference in the internal matter of Myanmar, ASEAN members are not helping Malaysia in taking up the matter with Myanmar. Similarly, rampant human rights abuse in Laos and Cambodia is an open secret. Except for raising the issue of human rights abuse at ASEAN summits like a ritual, no serious efforts have been made to tackle it. The non-cohesiveness of ASEAN member states suits China. Since 2014 when the military began to rule in Thailand, Bangkok too has leaned heavily towards the dragon which is also enjoying strong camaraderie with Cambodia as well as Myanmar. This is the key reason why the Philippines and Vietnam’s resentment against Beijing for its ongoing reclamation activity in the South China Sea has not able to transform into unified anger over the issue within ASEAN. Despite the apparent fractures in the grouping, India is still keen to engage with ASEAN. “ASEAN and India are natural partners that share geographical, historical and civilizational ties. The cultural highway that linked the rivers Ganga, Brahmaputra, Meghna, Irrawaddy and Mekong and those who dwelt on their banks, enriched our shared civilisational ethos in a two way process,” external affairs minister Sushma Swaraj said on July 4 while participating in the Delhi Dialogue. The message is clear: India would stop at nothing to make its relationship with ASEAN live up to the expectations of its ‘Act East’ policy that envisages promotion of economic cooperation, cultural ties and development of strategic relationship with countries in the Asia-Pacific region through continuous engagement at bilateral, regional and multilateral levels. 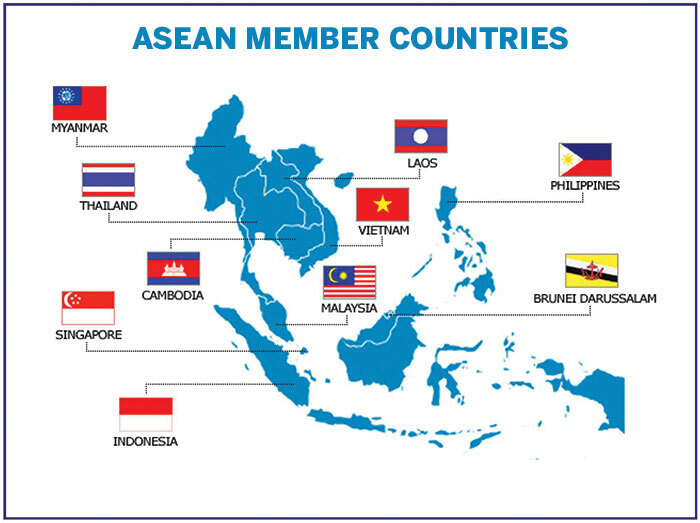 To this, India would impart more diplomatic weight when it would roll out the red carpet for all 10 ASEAN leaders on January 26 next year, a move aimed at developing close rapport with the Southeast Asian grouping that is projected to become the fourth largest economy by 2050.